Everything You Need to Get Started Sewing! The Blue Start-To-Sew Kit from Dritz includes 7" bent scissors, tracing paper, tracing wheel, tomato pin cushion, 60" tape measure, needle threader, marking pencil, sewing gauge, hand needles, straight pins, seam ripper, and thimble. 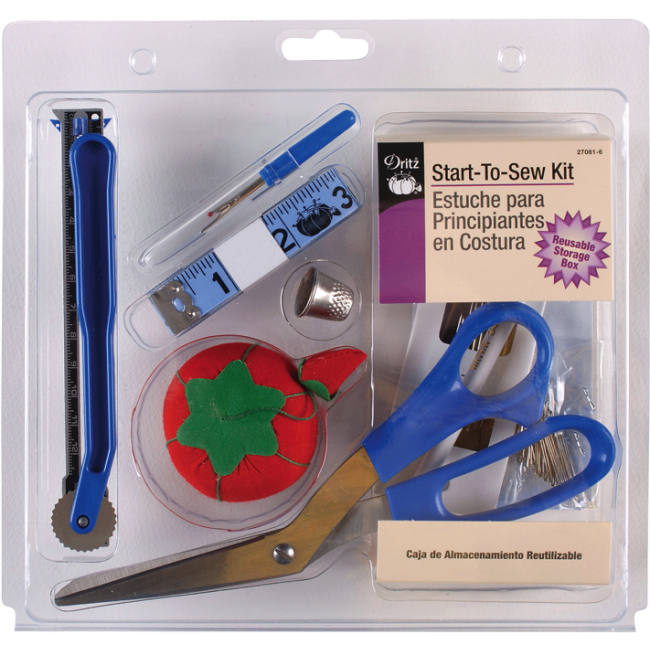 An ideal starter sewing kit for beginners. Add these basic sewing supplies to your sewing box and you'll be ready to start sewing!